Thursday morning, a Mission sunrise shot from my pre-dawn commute. As one of my friends remarked when she saw this picture, one of the few perks of starting work early is getting to see the sun rise. 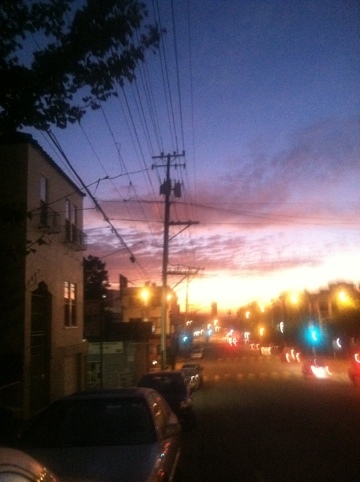 This entry was posted in iPhone, Photography, San Francisco and tagged daybreak, Mission, San Francisco, sunrise. Bookmark the permalink.